Both campus police and D.C. police are investigating the “crude and racially insensitive act of bigotry" that involves bananas hanging from strings that were tied in the shape of nooses. 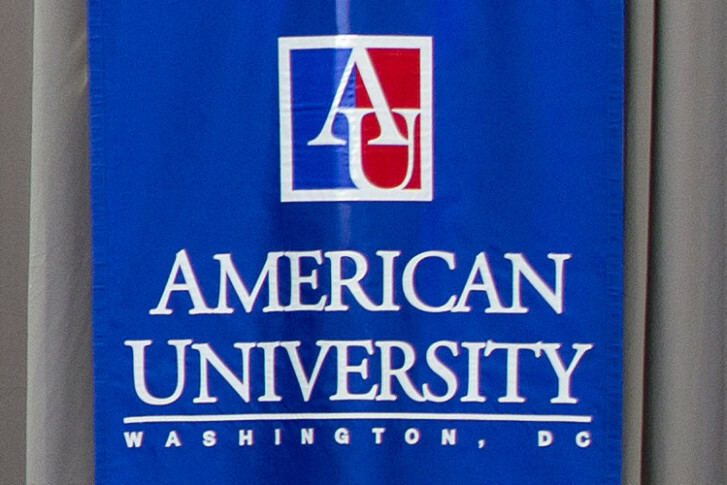 WASHINGTON — American University is investigating what it’s calling a racial incident after bananas were found hanging from strings tied in the shape of nooses in three places on the campus in Northwest D.C. The displays were found in three places around the campus. In a memo to the college community, Fanta Aw, American’s vice president of campus life, said some of the fruits had the letters AKA written on them — which Aw said stood for Alpha Kappa Alpha, a sorority whose members are predominantly African-American. “These racist, hateful messages have no place in our community,” Aw said in the memo. Students on the campus were talking about the displays between final exams on Monday, after images of the displays began circulating on social media during the morning hours. “Where I grew up, there was no discrimination; I didn’t feel any type of discrimination, so coming here and seeing people like this — it’s sad; people are so ignorant,” said student Hermon Beryehun, originally from Ethiopia. The university is holding a community meeting on campus at 12 p.m. Tuesday to discuss the incident. Other incidents involving bananas last year led to protests on the campus. In September, a black female student reported having a banana thrown at her while she was in her dorm room; another black woman told school officials someone left a rotten banana on her doorstep and made obscene drawings on a whiteboard attached to her door. The university said last year that the students behind those incidents were identified and disciplined. “As a Hispanic student here on campus, it is incredibly uncomfortable to know that things like this are still happening,” said sophomore Jocelyn Nieto. Student Kennan Thomas said it’s a shame the university is going through a situation like this again. “I really do appreciate the school and what they’re doing to resolve issues, but we still need to make larger strides,” Thomas said. Tyler Sanders said he has served as an ambassador and tour guide on campus for prospective students, and says he gets questions from visitors about diversity. “It’s difficult to say affirmatively that we have a diverse campus or student body when we deal with these racial issues,” Sanders said. The university is asking anyone with information on the incidents to call the campus police at 202-885-2527. WTOP’s Teta Alim contributed to this report.